So if you partake how do you chose? 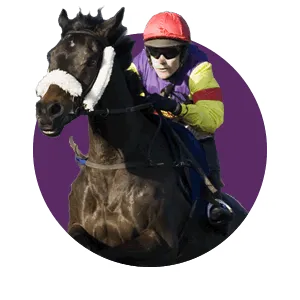 The easy to follow Grand National 2019 Runners list, each horse rated, plus betting guide, latest odds, jockeys, numbers and silks. 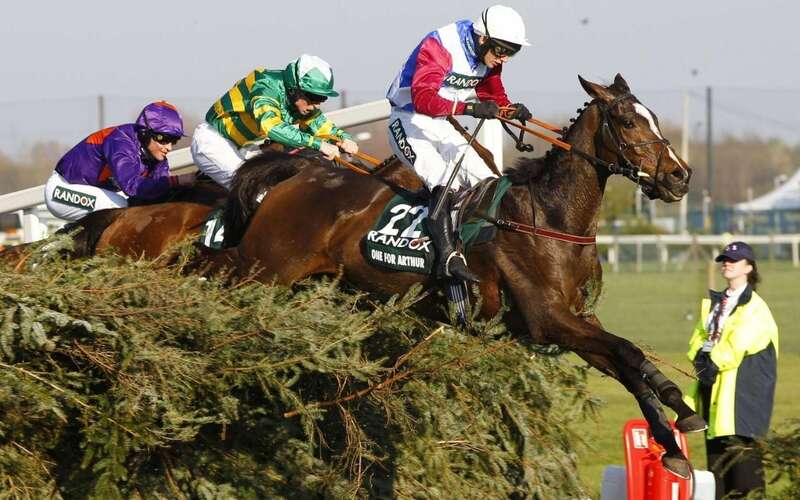 One For Arthur, an eight-year-old trained in Kinross, proved to be one for Scotland when he out-jumped and outstayed his 39 rivals to win the 170th Randox Health Grand National at Aintree. I quite fancy DEFINITELY RED. Only horse race I bet on ever year. Will have a look at who I fancy when everyones confirmed later in the week. How many Wenger out/in signs will there be? When I worked in the bookies the regulars never touched the National with serious stakes, it’s a complete lottery. You may as well choose the horse with the best name, favourite colours etc because you certainly won’t be picking the winner on form. But the ones with lower odds are more likely to win right? All the entries have a Telegraph star rating, which reflects their chance based on previous form and suitability to the race. The horse with the best chance has five stars and those with the worst have one star. Excellent second a year ago and looks even better this year; looks sure to make another bold bid. Fair sixth in Cheltenham Gold Cup last time and has touch of class; better since fitted with cheekpieces. Stays 3m but yet to tackle extreme distances; likes good ground or softer. Often front runs; stays and jumps well and acts on any going. In good form this season and ran his best race for years when fifth in Gold Cup; has not fallen since 2014. Stays well and showed benefit of blinkers first time when winning comfortably on latest outing. Consistent and capable stayer but not a prolific winner; good jumper and should get around. Has had his enthusiasm rekindled in hunter chases; ran right up to best when second at Cheltenham last time; best on good ground. 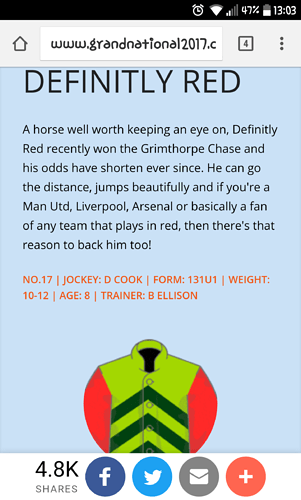 Useful on his day and likes to race up with pace, which could well add to his stamina issues. Classy and holds his form well. Ran a fine race when second in Haydock’s Grand National Trial. Likes fast ground. Has only run 12 times in past 3 years so has had injury issues but definitely has ability; good ground is best. Fair performer but does not win often and stamina has to be taken on trust. Won Bet365 Gold Cup last spring so stamina not an issue. Out of form since, including when falling 2 out here in December; showed a bit more last time. Looks a likely type and won nicely over Cheltenham’s Cross Country track last time; stamina not an issue and ground should suit. Inconsistent but capable on a going day; best form on fast ground. Proven over the fences and this tough stayer, who appears to act on most types on gound, must be respected. 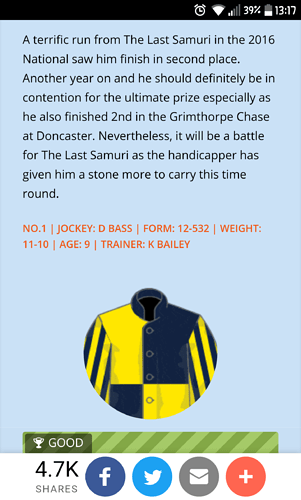 Generally progressive and we have probably yet to see the best of him; impressive when beating The Last Samuri at Doncaster; strong player. Fair performer but has not won since moving to Ireland and not since 2014 in France; 6th a year ago and aimed at this since. On the upgrade and a likeable sort; acts on any ground; looks capable of playing his part. Smart chaser once but age is catching up with him; fourth in last year’s Midlands Grand National at Uttoxeter. Improving and looks to have been targeted at this race; a solid jumper who seems to go on any ground. Third to Vieux Lion Rouge here in December and then won over 3m 5f at Warwick when wearing a tongue tie for the first time. Was once smart but is hard to predict these days. Unseated rider at 19th fence last year. Appears to have lost his way this season and has in fact not won since December 2015; hard to fancy. Has a good record over the fences in three attempts with form figures of 812 and this has been his target all season; bold show expected. Fair performer but has become prone to jumping mistakes and came down at the first over these fences at last year’s meeting. Won 2014 Cheltenham Gold Cup but is on the downgrade these days. Got as far as the 24th fence two years ago before pulling up. Finished second two years ago but has failed to finish on past two attempts over the fences. Looked close to best when second last time. Won 2016 Scottish Grand National but disappointing since. However, his record suggests he is a spring horse and he could easily bounce back. Finished 15th when a 40/1 chance in last year’s race. Returned to form at Newbury recently; good jumper. Favourite when an early faller in 2016 Scottish Grand National; lightly-raced this season and ran with some promise at Cheltenham last time. Finished 8th in 2014 National but improved since; has twice won Cork Grand National and finished second in Welsh National last December; solid stayer. Normally races at short of 3m and has yet to prove he has the stamina for a contest such as this.Best on decent ground. Was a 50-1 chance when a distant 13th a year ago but ran really well on only start since, when wearing blinkers for first time. A brave winner of 2016 Irish Grand National; well behind Vieux Lion Rouge here in December and might need softer ground. Has a very patchy profile and fell in last year’s Topham (2m 5f) over the fences; unproven in stamina department. Has not won since landing the 2015 Irish Grand National although has run some fair races. Best with some give in the ground. Fell at the first when a 66/1 chance in 2015. Relatively consistent and stays well enough. Enjoys decent going. Stays well but is an in-an-out-perofmer who tends to throw in a really poor run from time to time. Seems to act on any going. Has twice got around over these fences but in much shorter races and stamina has to be an issue. I just looked at that list and wondered which of those will be in the post-race obituaries. Haha I feel like definitely red will be such poor value for money. Every football fan who supports a team in red must be on that one. I will be on it as well for FOMO. 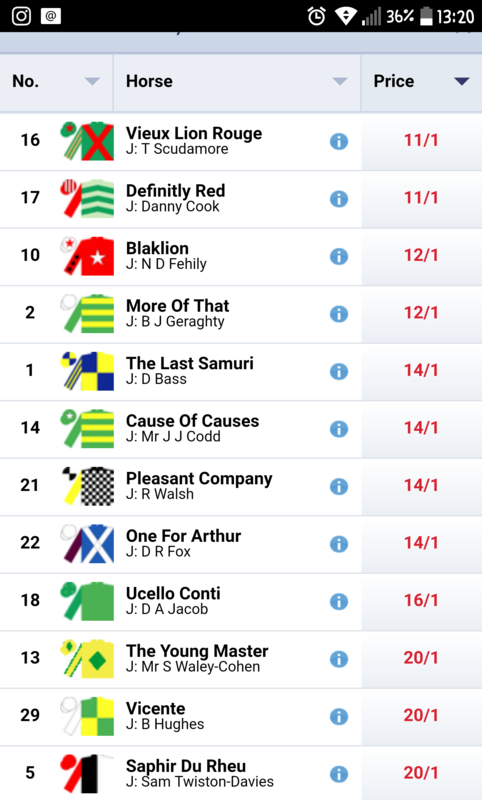 Cheltenham’s for the purists, this one’s a complete joke. Complete lottery. And Giner you’re quite right, typically seems to be 2-4 every year. I have backed Rogue angel the name just stood out for me. Perfect Candidate seems like a perfect candidate.